October is my favorite month of the year. 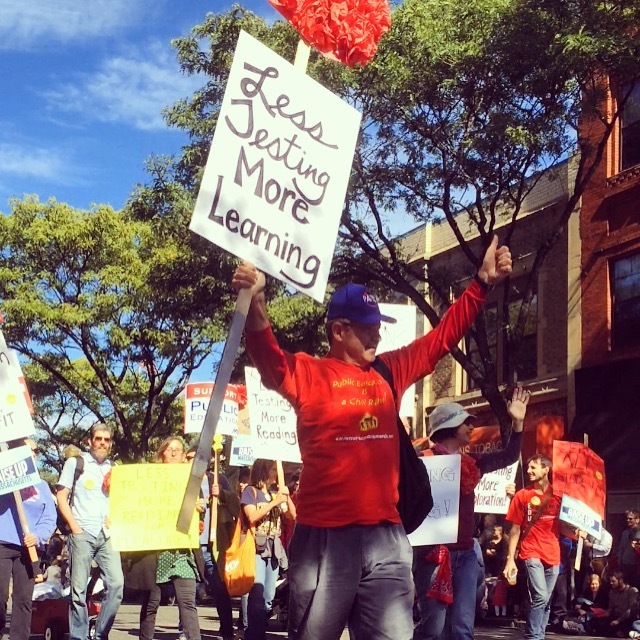 Not just because New England puts on its best show with the amazing fall colors, but some of my favorite events happen from fall festivals and corn mazes to the festival of activist street bands, Honk! Known as the “brassroots revolution”, every October street bands from all over the country invade our neighborhood and put on a massive street party all weekend long. I spent all of my middle & high school years in a marching band (nerd alert) and loved it. The band experience, though often the aim of many jokes, was a strong community. We spent a lot of time together and it felt like a family. When my kids are a little older, I’m really hoping they’ll have an interest in joining School of Honk with me. This local group brings people together, young and old, to enjoy the magic of playing and marching in a band. They even have an afterschool program that maybe my kids will be interested in when they’re old enough. These days, seeing a marching band brings back fond memories and warms a special place in my heart. I just can’t resist a good snare drum! On Saturday, the square is packed with loud and colorful bands at every corner. Catchy tunes, tapping feet, and yummy autumnal treats enjoyed by all. The following day, all the bands and activists groups gather together to march in a two-mile parade. I remember when Big Brother was just two months old, he attended his first parade at the Honk! festival. Surprisingly he slept through the entire loud event. Unfortunately, in the last few years, Big Brother found the parade to be too loud and overwhelming so we didn’t last long. But this was the first year he seemed to be comfortable and really into watching the parade. With the exception of one, rather scary looking monster costume that got right in Little One’s face, everyone had a blast! This guy super scared Little One!